Brick Lane | Officina In s.r.l. 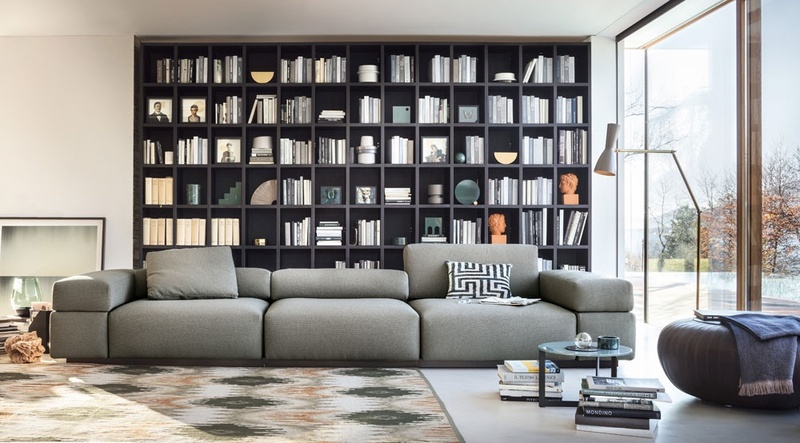 Square shapes and extra-softness, opposites that attract, for Brick Lane sofa with base flush with the floor designed by Christophe Pillet, perfect interpreter of the philosophy based on relax, typical of the design made in Lema that turns comfort and modularity, into its essential traits. A balanced game of geometries and volumes that replicate for a new piece of furniture that cultivates the ambition to rise to a new classic, able to be introduced in any environment, whether private or contract. In addition to the neat shapes, this proposal is characterised by the flow of advanced technology, wisely hidden from the stitching, that allows reclining the backrest and bring forward the seat, ensuring utmost comfort. Careful tailoring works are combined to cutting-edge industrial processes, since always distinctive traits of Lema production.